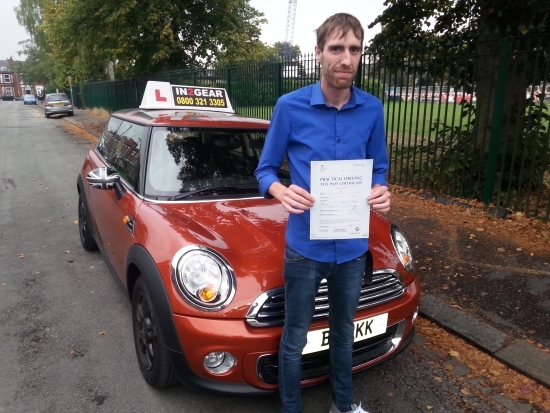 Nathan passed with Martin Garfoot on 20/9/14! Well done! Martin says "Nathan passed first time with NO faults, a clean sheet!! A great drive, well done Nathan!!". Nathan says "Not sure what to say Martin, just thanks to you I can't believe I passed with no marks in 16 lessons! ".